Fr. 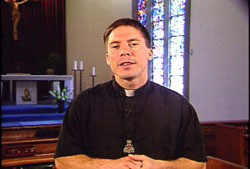 Mark joined the Companions of the Cross when he was 18 and was ordained to the priesthood in 2002 at age 26. He has served as Associate Pastor for St. Mary's Parish in Ottawa, as Director of Admissions for the Companions, as Chaplain of the Catholic Chaplaincy at York University and is currently Director of the Catholic Charismatic Center in Houston, Texas. Fr. Mark is a wonderful and inspiring preacher. 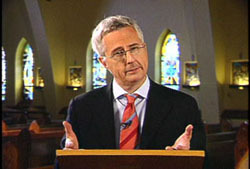 His ability to make profound truths of the faith easily accessible to his listeners lies at the heart of his ministry. 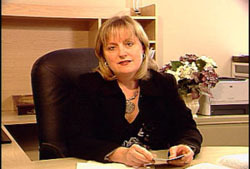 Kathy Ovcjak is a long time co-host of Food For Life. She has her Diploma in Theological Studies from St. Augustine's Seminary and speaks at Catholic events. She is an active member of her parish where she serves as a catechist, lector and Eucharistic minister. Kathy is married to Deacon Rudy Ovcjak and they have four children. Fr. Terry is the Director of Lay Formation for the Companions of the Cross and an English Secretary for the Papal Nuncio to Canada. He has worked in youth evangelization and coordinated the Companions of the Cross School of Evangelization. As a graduate of the Massachusetts Institute of Technology, Fr. Terry has a strong background in science & technology. Chris has been involved with evangelization in the Catholic Church for over 25 years. He worked in full-time youth ministry in the 80's and completed his M.A. Theology (Franciscan University of Steubenville) in 1992. He has been a part-time contributor on Food For Life for many years. 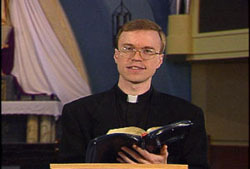 Chris is a lay associate of the Companions of the Cross and member of St. Mary's parish in Ottawa. He works for a high-tech company in the Ottawa area.